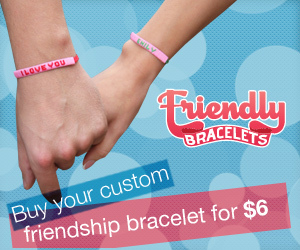 On this site, you can find patterns and descriptions on how to make the popular bracelets for yourself or a dear friend. Take part of this great hobby and start tying today! The site contents are made by the users. 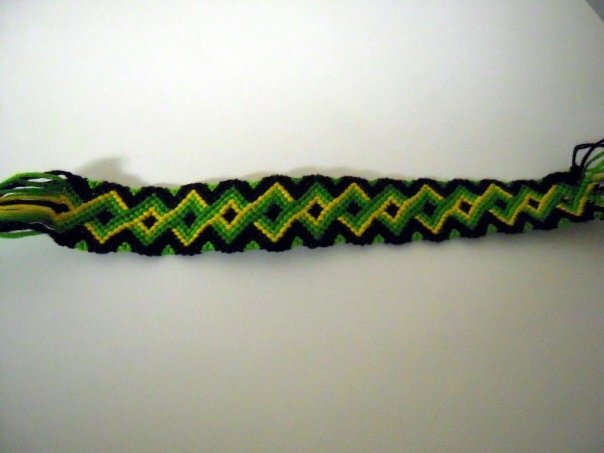 When you have signed up for an account, you can upload your own patterns, photos of your bracelets, useful links etc. So sign up and start giving inspiration to others! Originally, these colorful bands were invented by Indians in Central and South America. According to tradition, you tie a bracelet onto the wrist of a friend who may wish for something at that moment. The bracelet should be worn until it is totally worn-out and falls off by itself, at which moment the wish is supposed to come true. Using Google Translate, you can view this site in many different languages. This homepage is made for free. Support the site by donating money. 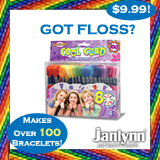 dianis commented on photo #107259.
alozano34 replied to the forum thread How To Make Water Bracelet. what cord do you guys used? lgdunahoo posted kumihimo pattern K10353. Arata posted kumihimo pattern K10351. Miketsukami posted kumihimo pattern K10350.